The C-Quent has all of the same capability as the other Cane Creek Double Barrel shocks, but instead will come pre-set with a custom tune (click to enlarge). 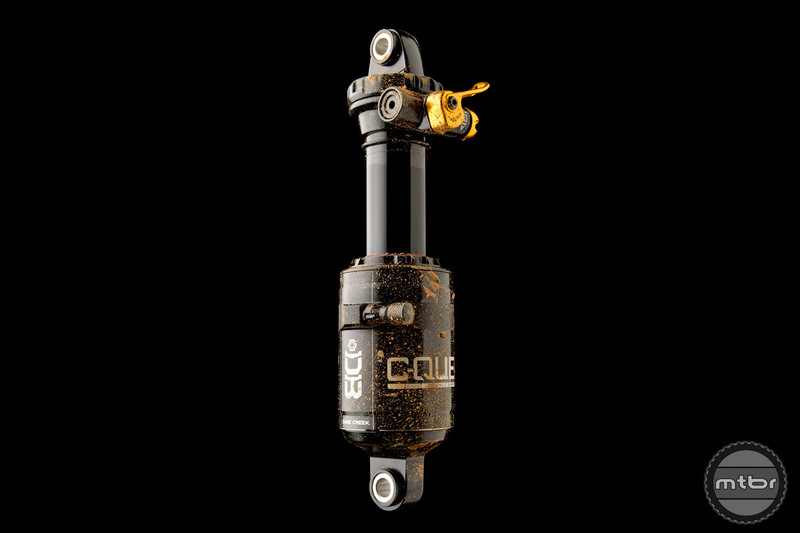 Cane Creek suspension components have garnered a faithful following in the after-market arena. But most of those buyers tend to be a little more suspension set-up savvy than your average weekend warrior. Now the North Carolina-based company has a product for the non-tweaker-types. For minor adjustments, the C-Quent has a low speed rebound (LSR) adjuster and a climb switch. This will include well-defined clicks of LSR to provide meaningful adjustment without risk of going too far. The damping mechanism on the C-Quent is a hybrid between twin-tube technology and a mono-tube design that retains the benefits of twin-tube: less cavitation, more control, and damping consistency. 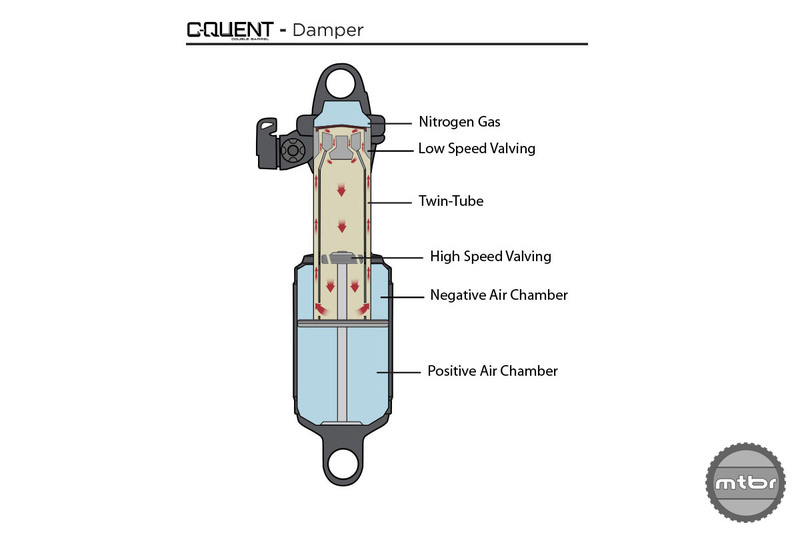 Like all Double Barrel shocks, the C-Quent houses all of its low-speed damping circuitry in the valve body, allowing for the climb switch to address both compression and rebound when engaged. 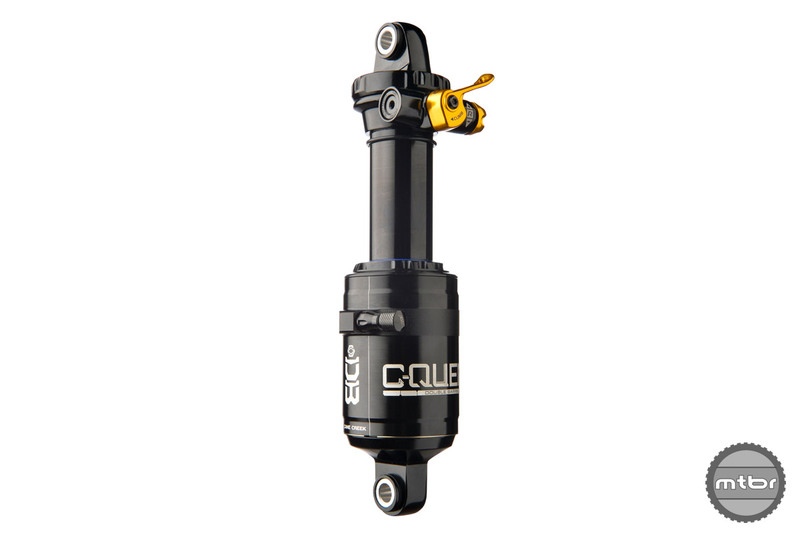 Unlike other Cane Creek shocks, however, C-Quent controls the high-speed damping circuits via shim-stacks on the main piston. The extreme tune-ability of the DB is retained at the factory, giving rise to a lighter-weight Double Barrel with consistent damping levels, claims Cane Creek. 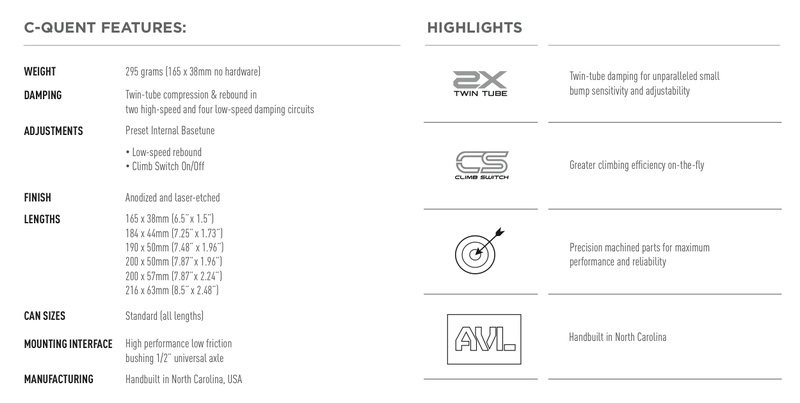 For more information and a list of OEM partners, please visit www.canecreek.com. The C-Quent has all of the same capability as the other Cane Creek Double Barrel shocks, but instead will come pre-set with a custom tune. Initially, the new shock will only be available through bike manufacturers.